Expert commentary on various environmental topics with focus on Minnesota and the Leech Lake Reservation. History of Leech Lake Reservation from the peoples perspective. History of Pow Wow Drum and Dance is a ten minute program detailing the history of Pow Wow's, singing, dancing, and explains the difference between different types of Pow Wow's. 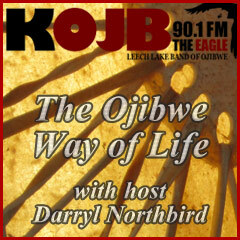 A look at the Ojibwe way of living in the wild off of what nature provides for us. 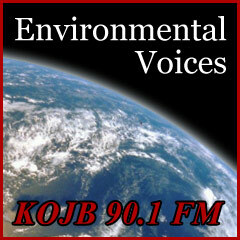 This 30 minute program features interviews with various Native American book authors. 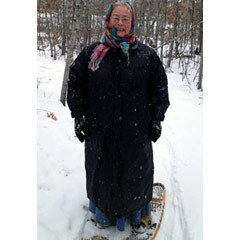 Ojibwemowin: The Ojibwe language is explored with hopes of introducing conversational Ojibwe back into our daily lives. 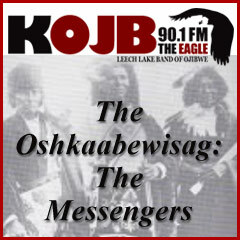 The Oshkaabewisag: The Messengers radio show vividly brings to life, the epic story of the people and the landscape of the Leech lake Reservation. Hosts: Shirley Nordrum and Nicole Buckanaga. The Traditional Ojibwe Plants, Herbs and Teas program provides a guide to preparing herbs for use to heal natually. Aquatic invasive species pt 1. Fuel saving tips for your car. Five Home Renovations that can save you money on your energy bill. Ways to reduce waste at work.